Today is the celebration of a big day in the annals of American History, but it is unfortunate that not everyone knows about it. It is celebrated by African Americans especially, because it commemorates the Abolition of Slavery in Texas and the emancipation of enslaved blacks throughout the former Confederacy of the southern United States in 1865. It is also known as Freedom Day or Emancipation Day, and is marked by the singing of traditional songs and readings from celebrated African American authors. In 1980 Texas was the first state to make it an official holiday, and by 2008 half the states in the US observed it as a ceremonial observance, and as of 2016 45 states now recognize it. It is interesting that we have a lot of holidays that rightly celebrate those who sacrificed their lives for the ideal of freedom, but a holiday celebrating an actual significant milestone on the road to true freedom isn’t as widely celebrated. It represents the fulfillment of an idea made in the Emancipation Proclamation 2 years earlier. The areas released on Juneteenth were not covered by that original proclamation, and there were others still that were only freed by the 13th amendment in December 1865. For being such a young country, America has a fascinating history, that holds a lot of interest for those abroad and those newly trying to gain the right to call themselves American. The present is always informed by the tides that shaped the past, and the future is built on the foundation of both of them, and those who are better educated in these areas are going to be able to better determine where the ship steers. In my first year of being over here, one of the the first things I ever went to was a 4th of July celebration in New Orleans, on the Mississippi River, and it blew me away – the combination of the beautiful setting on the Moonlight Mile, and the great fireworks, and the enthusiasm and friendliness of the people was amazing. I realized that Americans really do have a super power in their ability to celebrate. Halloween was the next big thing I went to, and likewise, you could see the amount of effort that everyone went to – you had everyone from the kids, the parents, the grandparents, and the neighborhood as a whole involved; even the local churches were providing a safe way to do Halloween … it was great. Thanksgiving, Christmas, New Year – all of these were events with, to quote Spinal Tap, the volume turned up to 11. Add in Cinco De Mayo, Kwanza, whatever holiday tradition you subscribe to, and the country really does demonstrate the strength of the community. 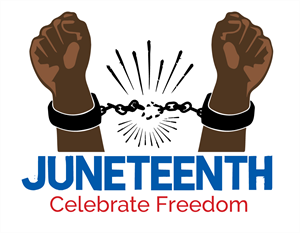 For me, the events in honor of soldiers, of Civil Rights leaders like Martin Luther King, and events celebrating the great events that made America what it is are the lifeblood of the social calendar, so I think Juneteenth is an amazing idea talking about something very important, so how long will it be before all the states are celebrating it? Not long I don’t think.